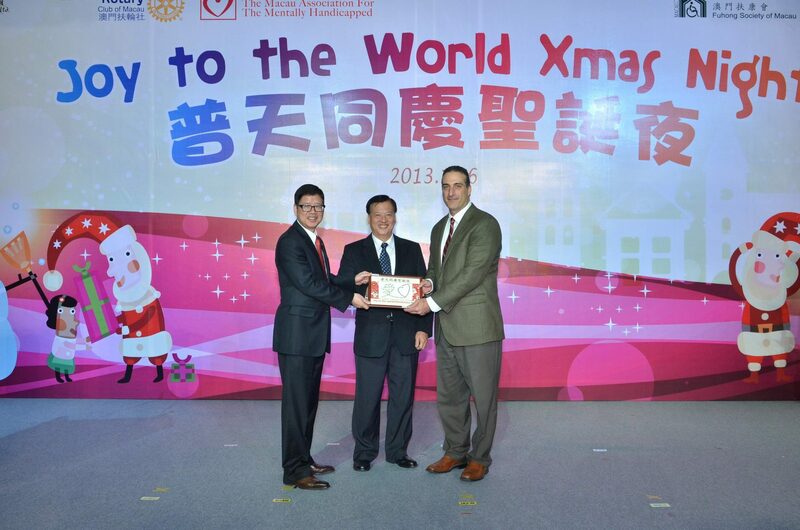 We have a most wonderful ‘ JOY TO THE WORLD CHRISTMAS NIGHT ‘ last night at the Venetian with over 800 attending, including nearly 600 special needs children/adults with their parents from the 4 associations: Macau Mentally Handicapped ; Macau Mentally Handicapped Parents Association , FuHong Society and Special Oymplics. Great support also from 43 Rotarians +families , 50 rotaractors and guests. This is our 14th year running but the associations’ members still can’t stop amazing the audience with their brilliant performances, singing and dancing to the hottest music songs. Sands China was again our lead sponsor and the colorful, impressive and lovable Streetmosphere performers offered an extra-ordinary welcome to everyone and excited their spirit. PP Guy, thank you so much for liven up the whole party to a great happy mood. Due to popular demand, we have two Santa Claus appearing ( thanks to PP Keith and PP David) so all children got a chance to photograph with their favourite Santa Claus ! They also had great fun in decorating the cupcakes provided by Venetian which they can bring home to eat. Xmas Party would not be complete without carol-singing. 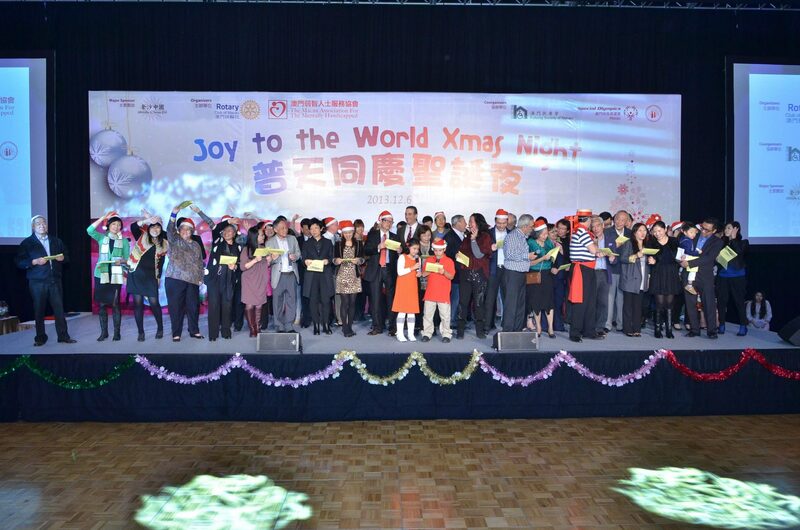 All Rotarians, rotaractors and guests went on-stage to happily sing Jingle Bell and Joy to the World . We even sang the Pop version of Jingle Bell- Jingle Bell Rock though not everyone knew this song, like PP Choi who was mumbling beside me that ‘ wrong melody, wrong melody’. 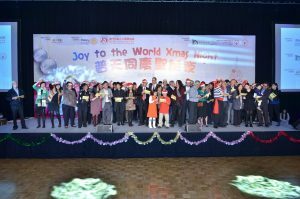 The evening ended with all the special needs children/adults overjoyed , happily carrying their xmas gifts home, kindly donated by Sands China. – Thursday, Dec 19 has guest speaker all the way from South Africa, Niall Higgins, young 17yr old student who won Rotary SF’s public speaking competition .